The next generation of home air conditioning is here, offering smart technology within a sleek, curved silhouette. Daikin EMURA air conditioners are designed to satisfy a uniquely “Designer” sense of style. 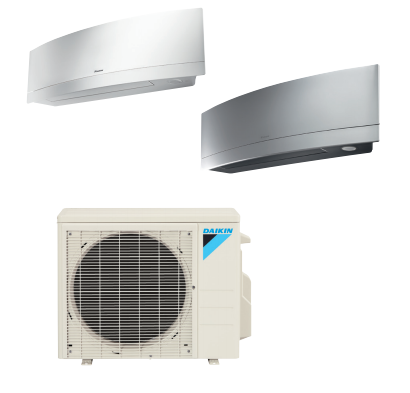 Offering a sophisticated solution for contemporary interiors, the new Daikin EMURA single-zone system combines form and functionality to create an icon of contemporary climate control. Available in silver or pure matte white, Daikin EMURA makes a modern design statement on any wall. Inside the understated exterior is a highly intelligent system, which can be controlled remotely via the Daikin Comfort App even away from the home.